Flinders Bank has been making headlines since developer Century Group Aus secured the contract for Australia’s first St. Regis Hotel. 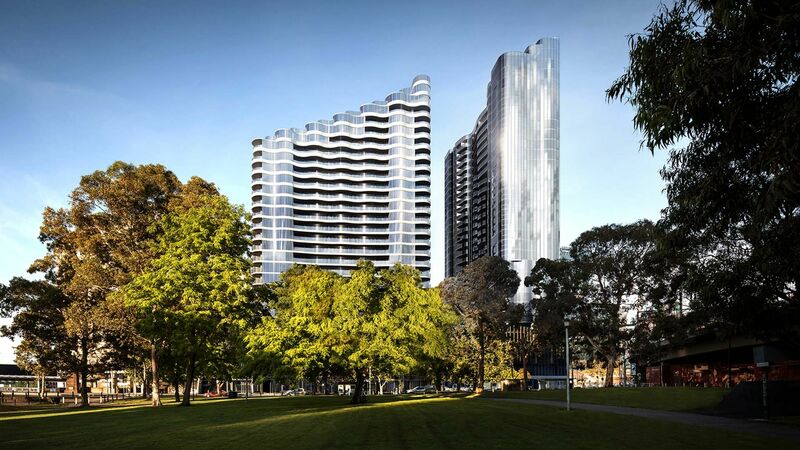 Designed by award-winning architects Fender Katsalidis, the project comprises three striking towers with sculpted façades inspired by the Yarra River. Flowing geometries on each tower show subtle variations of curved and undulating glass, forming the new precinct the city has been waiting for. Alongside the premium apartment range, Australia’s first St Regis hotel will comprise 168 five-star guest rooms, alongside 237 premium apartments and 2,100 sqm of retail spaces. Fitted out by design studio Chada, the St. Regis Hotel will offer breathtaking views of the Melbourne CBD and Yarra River. Providing tailored butler services to each guest, the hotel will also feature world-class amenities such as a swimming pool, sun deck, spa, and sauna, which will be available to all premium apartment homeowners within the tower. As well as the hotel amenities, apartment owners have access to private dining rooms, a wine tasting room, a theatre, and residents’ lounge. At ground level, the opulent lobby creates a sense of arrival for guests with an array of concierge services. 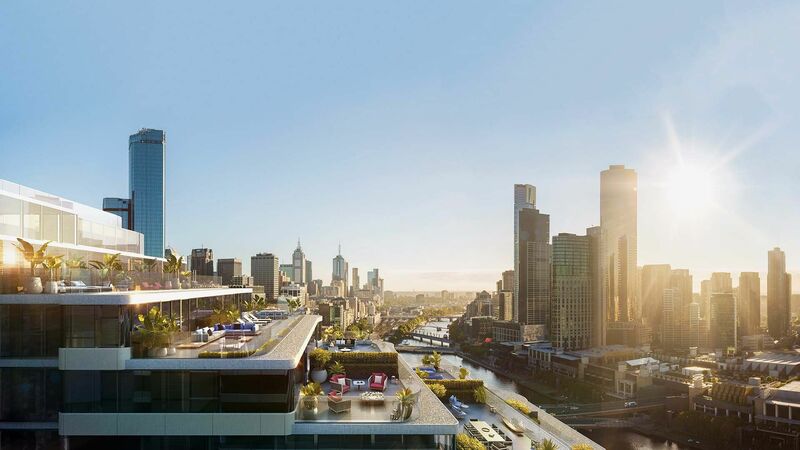 Flinders Bank offers a range of 1, 2 and 3 bedroom configurations providing uninterrupted views of the Yarra River, an ever-changing backdrop to the expertly-designed open plan living spaces. A neutral material palette features natural stone benchtops and splashbacks, accented by tactile details and exceptional craftsmanship. The bathroom resembles a spa retreat with top-of-the-range fittings and fixtures, carefully curated amongst bespoke joinery and custom-designed basins. Ensuites connect to the master bedroom where soft carpets and walk-in robes complete the experience. Residing in a prominent location on Spencer Street, Flinders Bank is set to enhance the vibrancy of Melbourne’s city. 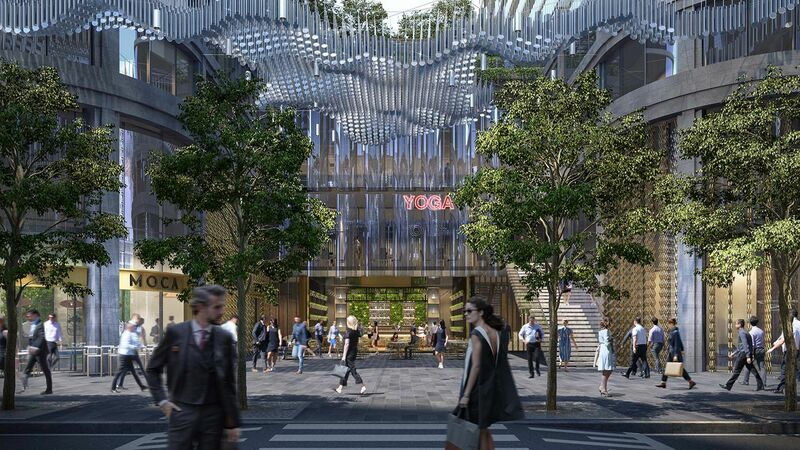 A ground-level retail and dining podium and new laneways will attract passers-by while homeowners will enjoy the convenience of living above these modern amenities. Beautifully positioned to take advantage of the entertainment, arts and cultural precincts within Southbank. The Crown Entertainment Complex is only minute’s walk from the doorstep, putting a world-class selection of shopping, dining, and entertainment options within moments from home. Construction is expected to commence in 2019, with completion anticipated for 2022. Enquire here to find out more about Flinders Bank apartment offerings.